HTC's chairperson Cher Wang wasn't kidding around when she said her company had "no intentions" of settling with Apple after Samsung was handed a defeat in their patent lawsuit against the iPhone maker. The Taiwanese manufacturer is continuing to pursue legal action, as HTC believes Apple is violating two of their patents regarding LTE technology. Despite having been down a similar road with HTC before, this time around Apple may have a more difficult time earning a victory. Apple will have to prove the HTC patents are invalid, which an ITC judge believes will be hard to prove. Regarding the idea that a patent shouldn't have been issued, Judge Thomas Pender said, "Clear and convincing means something to me. I have to be pretty darn certain a U.S. patent is invalid." If HTC's patents for LTE technology prove to be valid, Apple could find themselves in a bit of trouble in regards to its use in any of their devices. 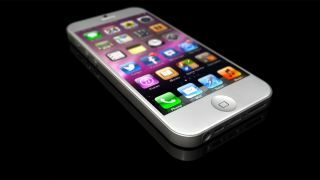 With both the iPhone 5 and iPad Mini set to possibly use the 4G wireless technology, it's entirely possible the importing of said devices could be banned in the U.S. The court filings reveal HTC purchased the patents from ADC Telecommunications Inc for $75 million "to protect itself and its customers from these aggressive tactics and to preserve its ability to compete in the United States." Despite the path to ownership, Judge Pender believes HTC still has a healthy claim to the patents. Speaking to Apple's lawyer Michael McKeon, of Fish & Richardson in Washington, Judge Pender said, "I don't care if they bought these patents to sue you or not. They are a property right." This isn't the first time HTC and Apple have tussled over patents, and it certainly isn't the first time Apple has been involved in a patent infringement lawsuit. However, this outcome of this decision could have a major impact on Apple's success throughout the rest of this year and into 2013. Additionally, major carriers like Verizon and AT&T, who are anticipating a large push for the rumored upcoming Apple products, could be affected adversely as well. If previous events are any indication, it's unlikely the issue will be resolved any time soon. We'll be following the case closely, and will continue to keep you updated on the latest developments.